The North wind blows Vianne Rocher and her young daughter, Anouk into a quiet French village one winter. Renting a shop from a surly landlady, she crafts spicy Mayan chodolates and begins to coax them into the mouths of the villagers. The mayor begins a rivalry with her as she threatens his calm control over his apathetic citizens. In the forty days of Lent, when chocolate is one of the many indulgences given up, Vianne can always guess their favorites and the villagers begin to awaken. 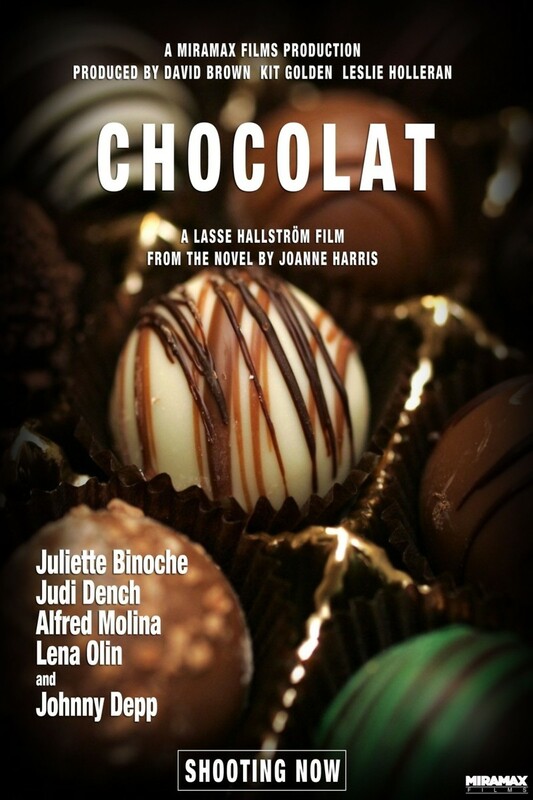 She finds love of her own in a gypsy named Roux and just as she buckles under the mayor's relentless campaign against her, the villagers bloom from the richness of chocolate and the love they discover in one another.